N is for Nebula, in this case a ring nebula, on this stamp that was slightly damaged in transit. I have a feeling that more recent stamps are made of stronger stuff to survive the seemingly more aggressive sorting machines. 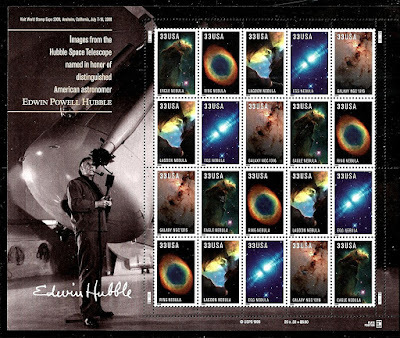 This stamp was issued in 2000 in honor of the Hubble telescope and the astronomer it is named after. 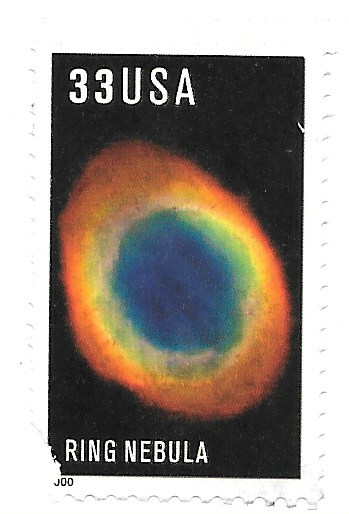 For more postage with an N theme, visit the links at Sunday Stamps. Hubble produced such amazing photographs. The ring nebula looks like something one would imagine a space and time wormhole to look like. They are presented nicely, aren't they. I agree this is a wonderful set. And also that nowadays stamps seem to be more... prepared for the modern life. However, 2000 isn't so far away! I was yesterday looking (on an Internet catalogue) at Spanish stamps from the 1990 on, and I am amazed about how many I've missed. However, I used to send letters then, too. I think this set tased me by, but I was less interested in mail at that time. Superb set which everyone must admire. I like the selvage on this one, and the images they chose. The sheet is beautiful. I really like the random pattern of the four stamps. 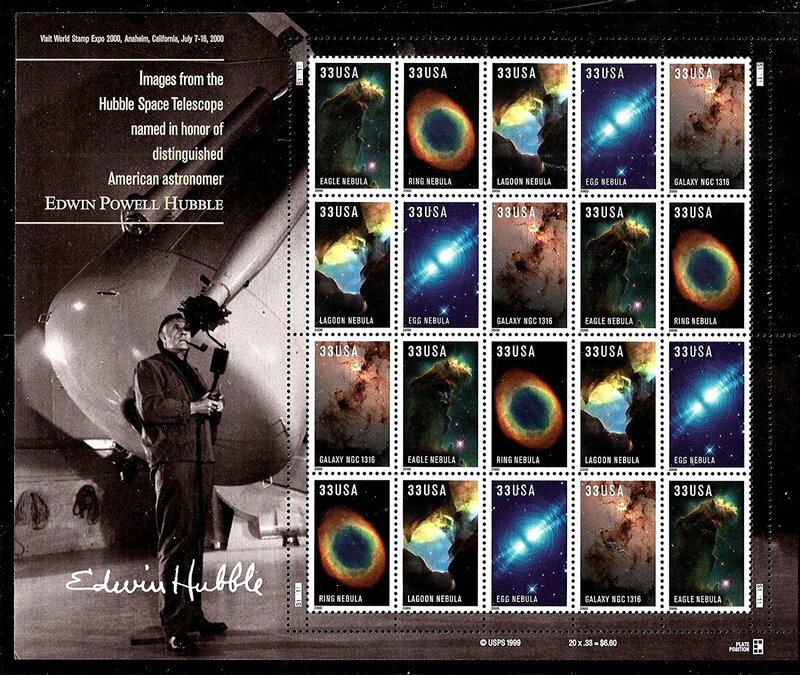 USPS often does this type of layout when there are 4 stamps and the sheet is 20 of them. A pity we can't see this sort of beauty with our own eyes.